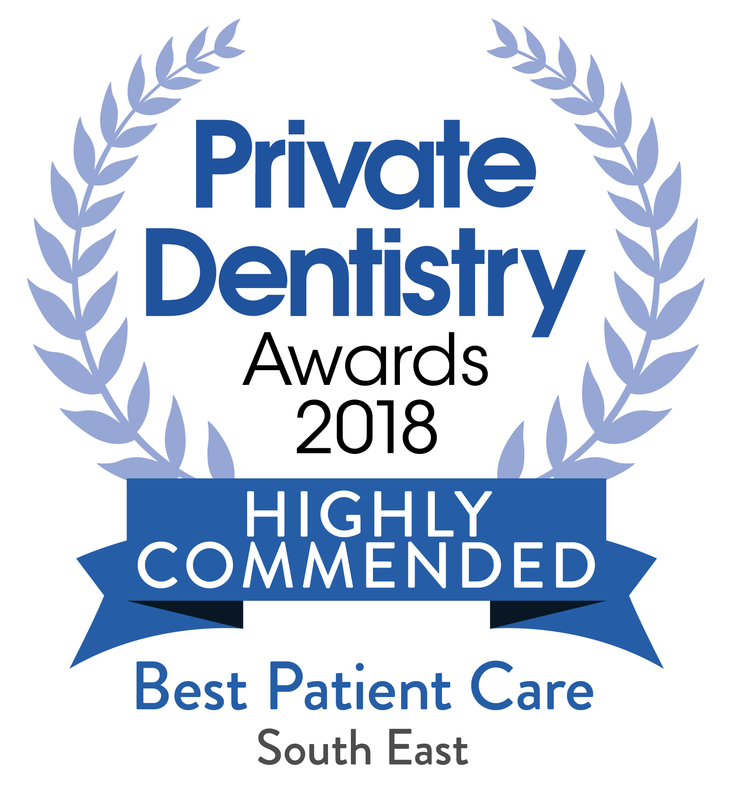 It is with great excitement that we were nominated as Finalists for The Private Dentistry Awards 2018. Initially, we assumed it was going to be impossible to accomplish but we were nominated for 4 out of the 9 categories which were an achievement in itself. The ceremony was on Friday 7 December at the Royal Lancaster Hotel in London and as expected it was a fantastic glittering affair. The huge function room was filled to the brim with dental people from all over the country, all dressed in their finery and full of nervous excitement and anticipation. The ceremony soon got on the way and we were over the moon to have achieved a Highly Commended in Best Patient Care. 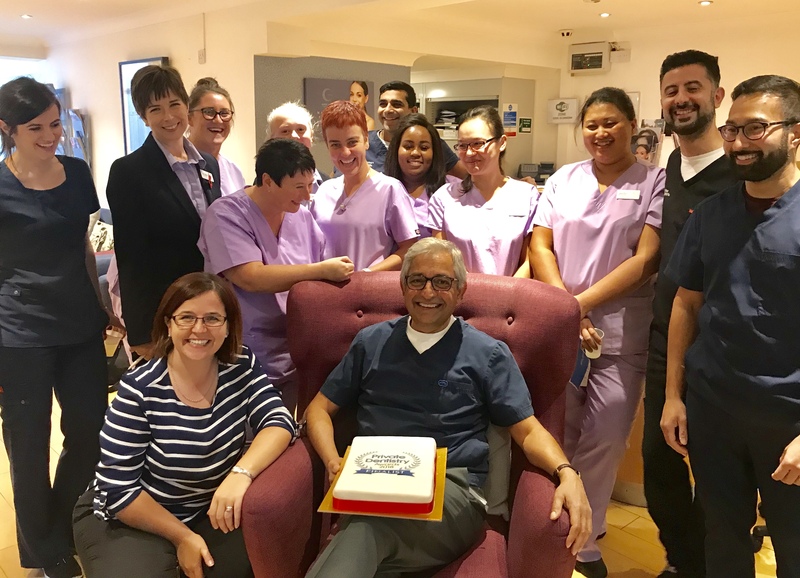 This achievement not only recognises our levels of excellence but also generates a great feeling for our whole team and not forgetting our patients’ delight as well. We know it sounds gushy but, we are so happy we were recognised for this award as genuine patient care is at the heart of everything we do. Gipsy Lane Advanced dental care in Earley is a finalist for Practice of the year. The recognition reflects our continued success with Dentistry! The Private Dentistry Awards exist to recognise progress, effort and enterprise in general private dentistry in the UK and Ireland. 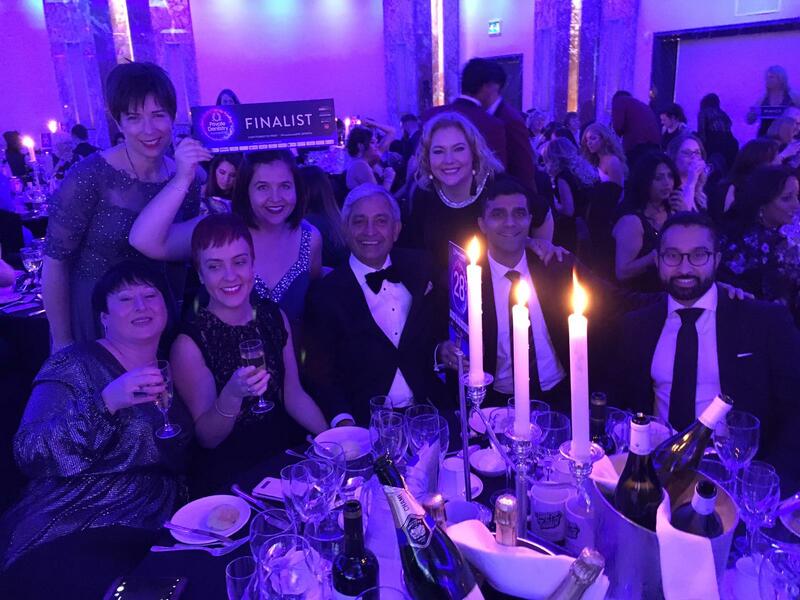 The individuals and team members shortlisted represent the rising standards in private dentistry and the tremendous efforts to provide a higher calibre of patient experience. There were 14 categories in total including Practice of the Year, Young Dentist of the Year Best New Practice. We will keep you posted on our results! 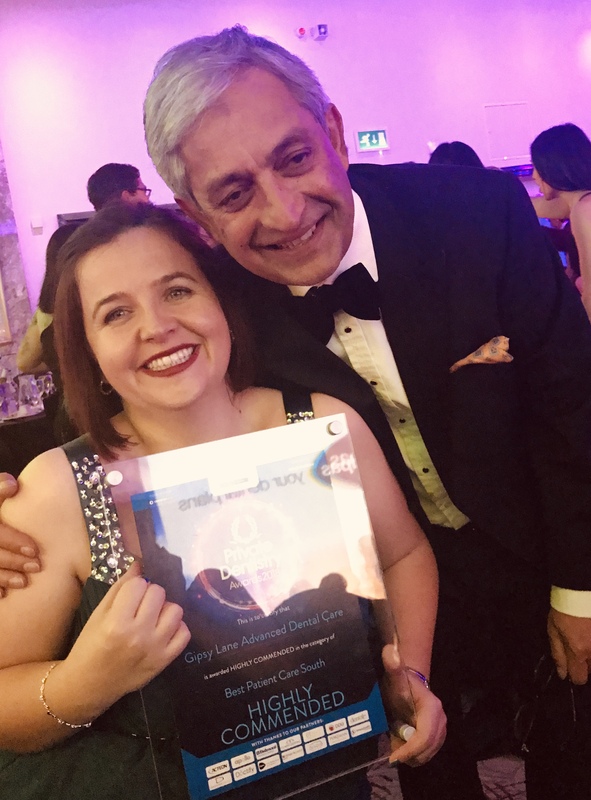 Gipsy Lane Advanced Dental Care have been recognised as outstanding practice who are at the top of our profession and seen as continually raising the standards of general dentistry. We ensure every new patient is greeted personally in a separate lounge area with a member of our friendly team. During this meeting it is our mission to to discover more about our patients and also provide details about our practice. We discuss what services we offer, our opening ours, and also we get the chance to discuss the best diary times for our busy patients and where can we will also book appointments to suit our patients busy lifestyles. During the initial consultation every member of the clinical team will go out of their way to ensure you are totally relaxed. The clinician will make a full and in-depth assessment – which is carried out allowing plenty of time allocated to discussions. At the end of their appointment our patients are handed a bespoke treatment plan and again a member of the team will spend time with them helping to arrange their appointments and discuss the various payment options. Patients who are having extensive treatment such as implants, will be appointed with a treatment coordinator who will be their point of contact throughout their treatment to ensure everything runs smoothly. All patients get a follow up phone call the day after having complex treatments. High quality care – We always strive to provide the very best quality of care. We have four dentists in the practice who each have their areas of expertise and often intergrate their talents and consult with each other to ensure they are providing the best treatment and options for our patients. We are a member of the BDA good practice scheme and recently became Denplan Excel Accredited. BDA Good Practice is UK dentistry’s leading quality assurance programme. By becoming members we have demonstrated a visible commitment to providing above the quality dental care to nationally the recognised BDA standards. The Denplan Excel accreditation programme is a quality assurance on a consistent Practice Commitment which as an accredited practice all our dentists and our team are asked to sign. Dental Specialists all under one roof We understand our patients do no want to travel to see a specialist in London so Instead, we bring the specialists to our practice. We have an Endodontist a Periodontist, Oral surgeons, an Orthodontist and an Implantologist. A great Dental Team – We are very fortunate to have a professional team who work incredibly well together. The dental nurses and all team members are encouraged to attend study Days, conferences and courses which will help them learn new skills and work to a high standard. Most of the team have worked at the practice for many years, one nurse has been at the practice for 30 years.